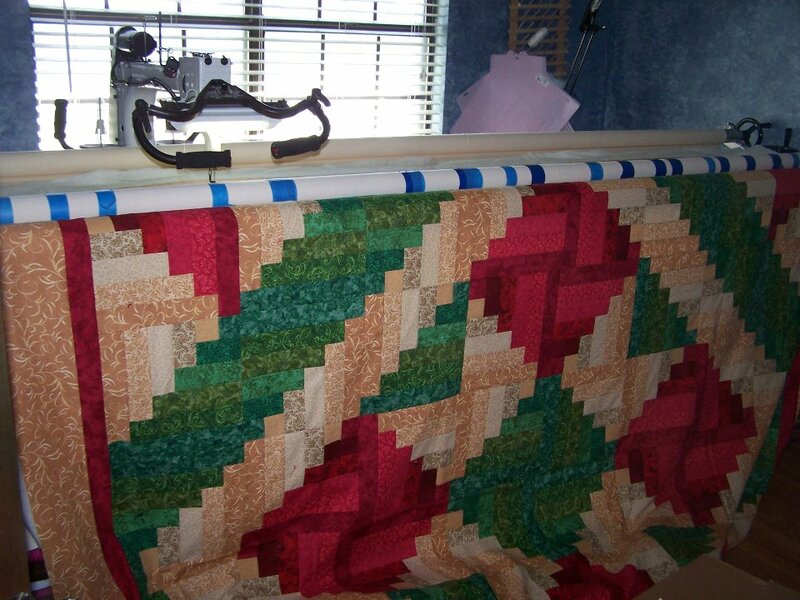 But, before I did that, I loaded this behemoth on the machine and started quilting it. Now, about that running away. I really, truly did. 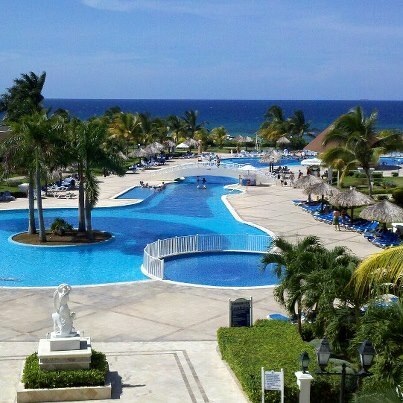 All the way to Jamaica! 😀 It was wonderful! And, it was another big step for me. I had never been out of the U.S. before. I went with one of my best girlfriends and we had a great time. She moved to Arkansas awhile back, so we don’t get to see each other that often anymore, so that made the trip even more special. I really needed that little getaway. 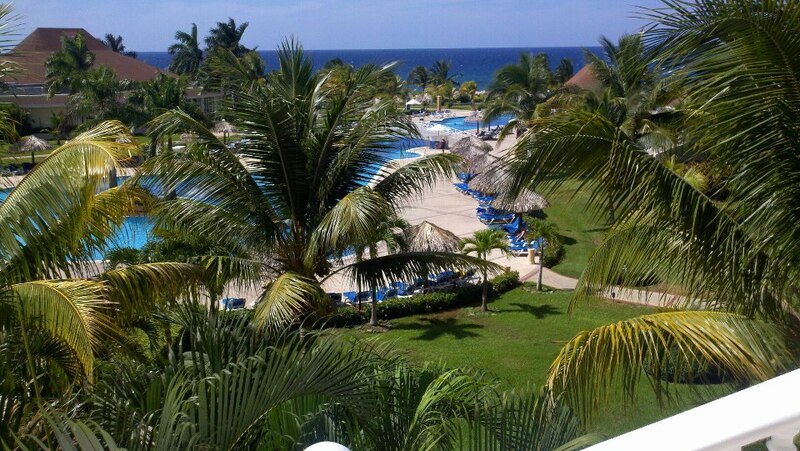 We stayed at the Gran Bahia Principe in Runaway Bay. 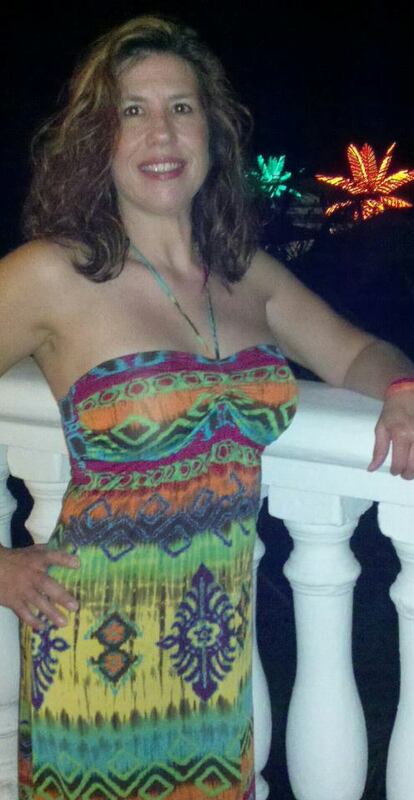 This is me standing on our balcony before we went out to dinner. And, one of me enjoying a refreshing tropical beverage and the beautiful view before we went shopping on our last day there. That’s it for now. 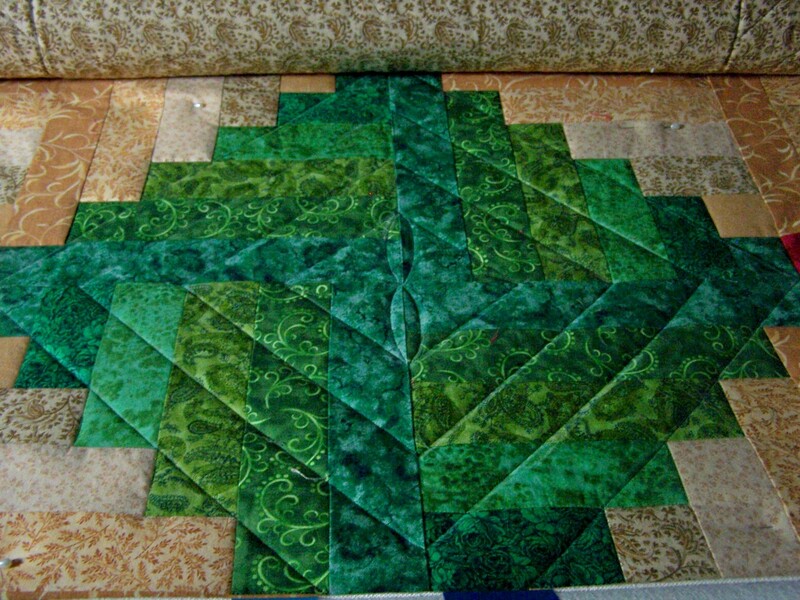 I think I will go do a little more stitching on that quilt! Wow to both the quilt and the trip!! 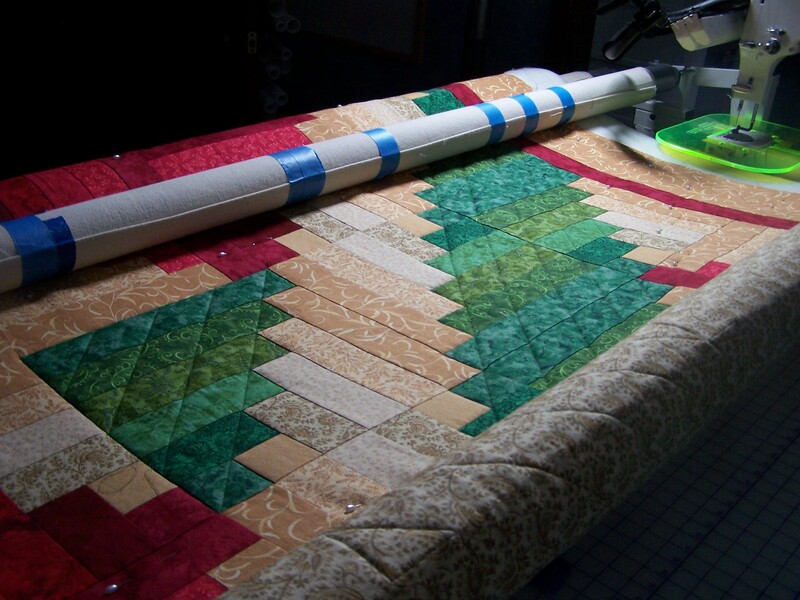 I love that quilt and strait lines in the dark logs is one of my favorite ways to quilt these! Can’t wait to see the rest! And a trip to Jamaica!! How wonderful!! I am so glad you treated yourself… you deserve it! Glad you had a good time. Love the quilt. Good for you!! 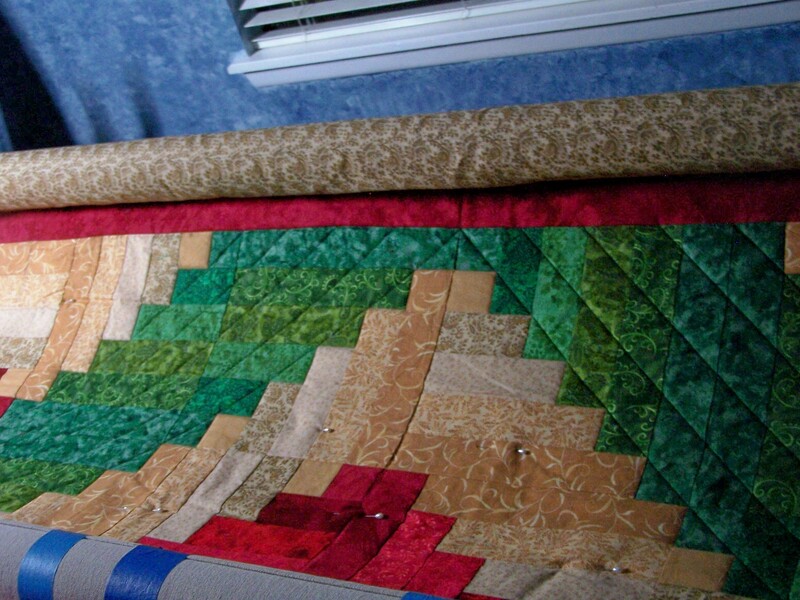 You look wonderful and so does the quilting! Leaving room for some great feathers?? Looking good, both you and the quilt. Love the quilt! And you are looking marvelous!! Wow, you really did run away. And it looks like it agreed with you. Love your straight lines on the quilt. I have difficulty with those, I tend to wobble. Keep up the good work. You are one fabulous quilter! 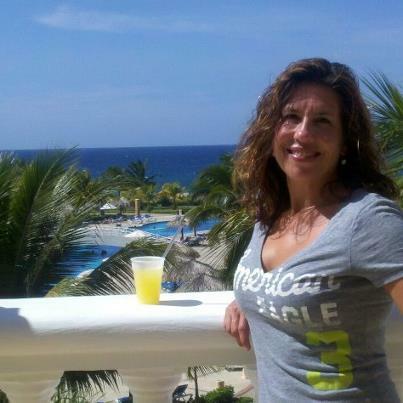 So glad you were able to get away…and to **Jamaica**…great!